The beauty of technology isn’t just doing more stuff–it’s doing stuff quickly. Whether you want to call a specific contact with one tap, keep your phone unlocked when you’re at home or work, launch the camera in a flash to quickly capture the perfect moment, or search for an app while in a rush, here are some of the best shortcuts built into Android that you’re probably not using. We’ve all been in a situation where the perfect shot comes along, but by the time you get your phone out of your pocket, wake it up, unlock it, and launch the camera, that moment is gone. It’s a bummer, and all you end up with is a terrible picture that was taken too late and just reminds you of the moment you missed. The good news is that it doesn’t have to be this way. 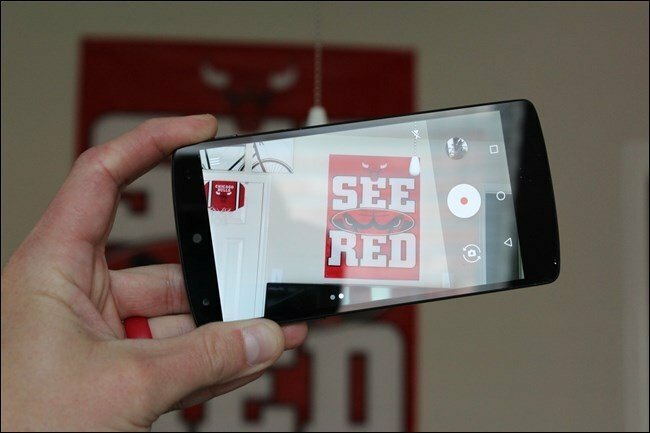 If you’re running a modern Android phone with Marshmallow (Android 6.0), then you can launch the camera instantly by tapping the power button twice while the phone is asleep (it’s the home button on Samsung Galaxy phones). Seriously—go ahead and try it. It should only take a split second to have the camera ready to go with this super useful little shortcut. If you have a lot of apps installed, sometimes it’s easier to just search for what you’re looking for than it is to scroll through a stupid-long list of stuff. 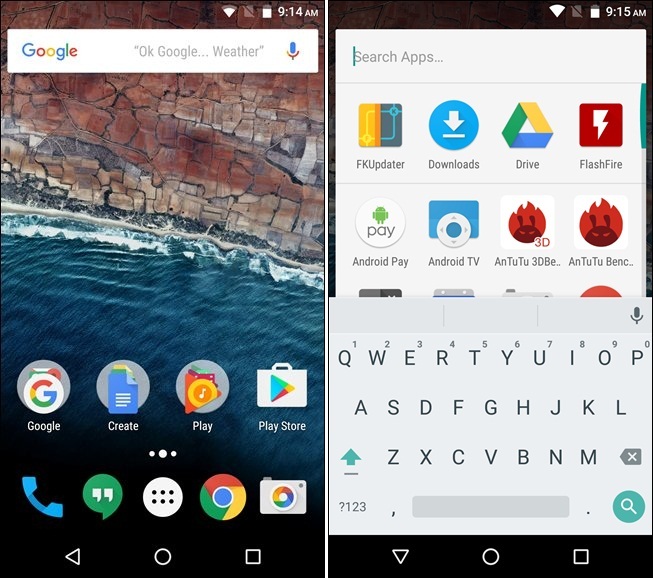 Fortunately, Google baked a way into the Google Now Launcher—which is the stock launcher on Nexus devices, but also available for download from Google Play for all others—to quickly get access to the app drawer’s search tool. From the home screen, just long-press the app drawer icon. That’s it! The drawer will immediately open with the “Search Apps…” bar open and the keyboard ready to go. It easily shaves a bit of time off of opening the drawer, then tapping the Search box. This feature has actually been around since Ice Cream Sandwich (Android 4.0), though I’m not sure many people realize it still exists—or new users know about it at all. Basically, it offers a quick way of letting someone know why you can’t answer the phone by sending them a quick text—all you have to do is swipe up on the incoming call screen and choose what text you want to send. There are a few pre-set selections, like “Can’t talk right now. 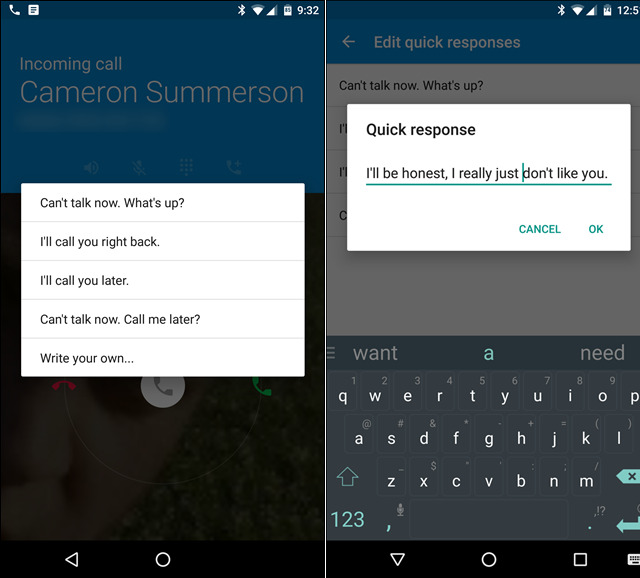 What’s up?” and “I’ll call you right back,” but the best part is that you can actually customize these on most Android phones. 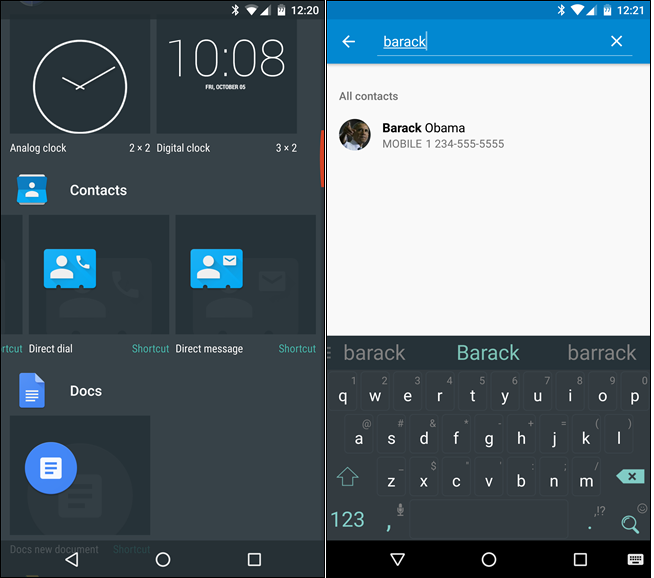 In stock Marshmallow, just jump into the dialer and tap the three-button overflow menu in the top right corner. Select “Settings,” then “Quick responses.” There you go—edit away. 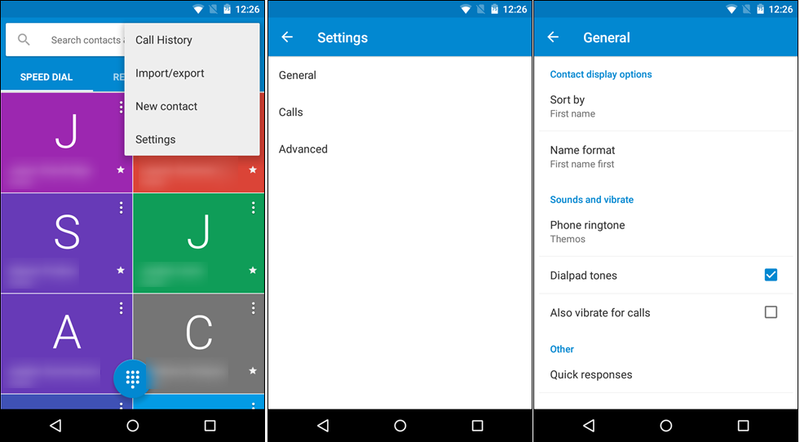 On stock Lollipop (5.0+) phones, the process is basically the same, but in the dialer’s Settings menu, tap “General,” then “Quick responses” at the very bottom. Each manufacturer may have these hidden in different spots—some of which make sense, and others that do not. For example, on Samsung’s newest software builds, you can find Quick Responses in the More > Settings > Call blocking > Call-reject messages. Yeah, it’s pretty deep. Keep in mind that it may or may not be labeled as “Quick responses,” but the option will almost certainly be found in in the dialer app. This one may be a little more obvious than some of the others, but if you’re not using it, then you’re doing yourself a disservice. In a nutshell, Smart Lock allows keeps your device unlocked when the right circumstances are met. For example, when you’re at home, it can use location services to make sure you never have to input your PIN, pattern, or password to unlock the phone. Or when you’re connected to a specific Bluetooth device—like a car stereo system or smartwatch—it will stay unlocked. That’s useful, because if the user-specified criteria isn’t met, the configured lock screen security method will take over. In my situation, for example, my phone stays unlocked as long as it’s connected to my smartwatch. That way, as long as it’s nearby, I don’t have to worry about the hassle of using the security method. But if I leave it somewhere or it gets stolen, it’ll be locked up tight so prying eyes can’t access my personal data. It’s a win-win, really. 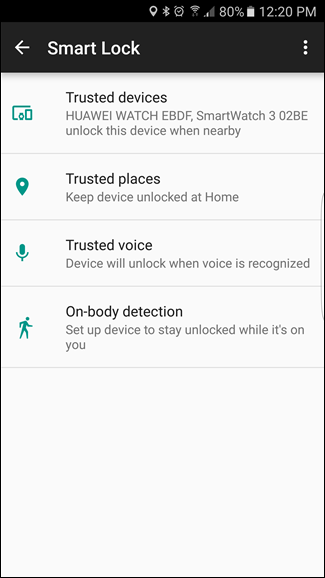 To enable Smart Lock on most devices, jump into the Settings > Security menu and set a secured Screen Lock. Then, enable Smart Lock back in the Security menu—there are several options here, like “Trusted Devices,” which is where you’ll set Bluetooth devices to keep the phone unlocked, “Trusted places,” where you can specify your home or work locations, “Trusted Face,” where you can use the phone’s front camera and your own head to unlock, “Trusted voice,” where you can use your voice to unlock, and “On-body detection,” where the device will stay unlocked while it’s on you. The first two options make the most sense to me, but of course you should enable whichever option(s) make the most sense for your situation. Check out our full guide to Smart Lock for more. We all have people that we contact more often than others, and there’s no easier way to keep those quick calls or texts to one tap than with the Contact Direct widgets. 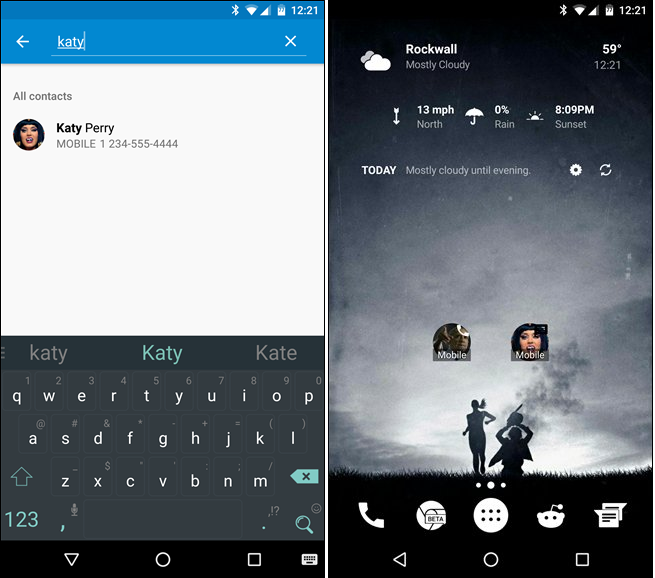 These are essentially 1×1 icons on your home screen that immediately call or text a specific contact with one tap. To drop one of these icons on your home screen, just jump into your device’s widgets menu by long-pressing the home screen and tapping the “Widgets” icon. Scroll until you find the “Contacts” section, then choose whichever one you want to use: Direct dial 1×1 or Direct message 1×1. Long-press it then, drop it on the home screen. From there, you’ll select the contact you want to associate the widget with, and that’s it. You’re not just one tap away from your favorite people. If you use Nova Launcher, you can also create swipe actions that do something similar without taking up extra space on your screen. This one might be the most useful, but most overlooked, feature on this list. Everyone knows about Google Voice Actions, but are you really using them as much as you could be? Probably not. There’s an insane amount of things Google Now is capable of, and all you need to do is say “OK Google”. It may feel weird talking to your phone at first, but when you realize how blazingly fast it is for certain tasks, you’ll never go back. 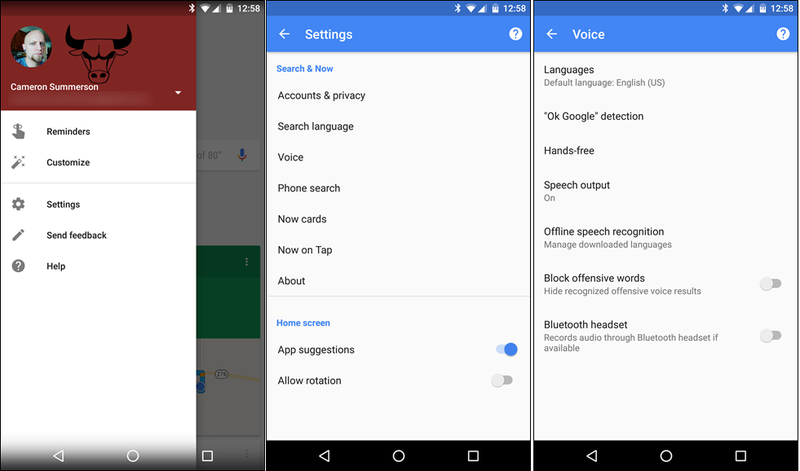 Before you do that, however, you’ll need to enable “OK Google detection” from any screen. 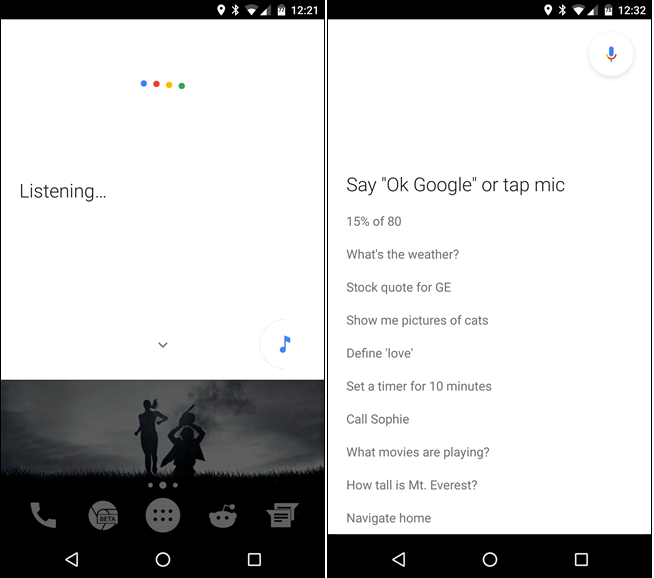 To do that, jump into the Google Now app by either swiping up on the home button or long-pressing it (depending on your version of Android), heading into the menu, and choosing “Settings.” From there, select “Voice,” then “’OK Google’ detection.” You can toggle the “From any screen” setting here, and it will prompt you to set up a voice model if you haven’t already. Now you can call on Google Now from any screen. When does X business close? How many quarts are in a gallon? What is five percent of 99? What’s the weather going to be like this weekend? When is the next sports team game? What time is it in other place? Remind me to do thing tomorrow at 11 AM. Set a timer for X minutes. Navigate to place of interest. Listen to Artist on Google Play Music. Create a calendar event: name, date, and time. Seriously—the more you use it, the more you’ll learn to do with it. Then you can set a reminder to kick yourself for not doing this sooner.